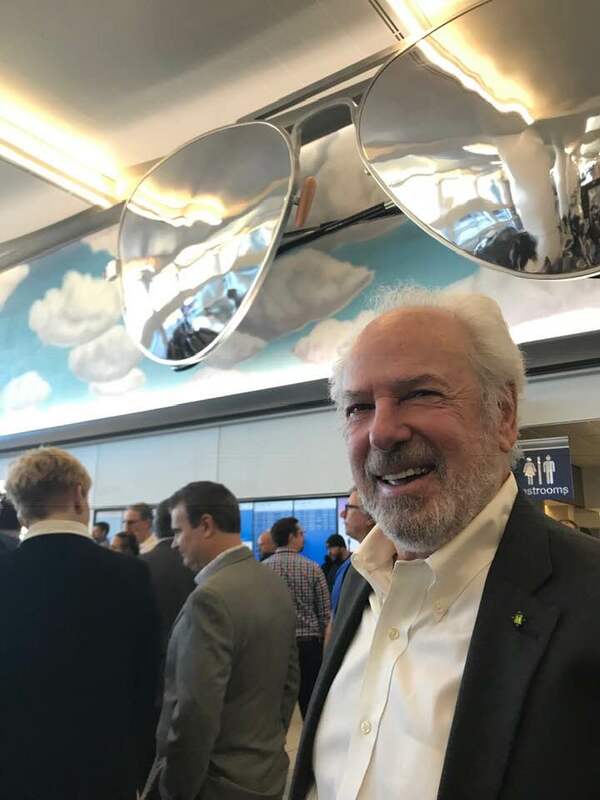 The Phoenix Sky Harbor International Airport recently unveiled Donald Lipski’s The Aviators as part of their newly redesigned Terminal 3. Although we wrapped up installation for this project back in November we had to keep things under wraps until the new terminal was officially open. Photo courtesy of Donald Lipski. 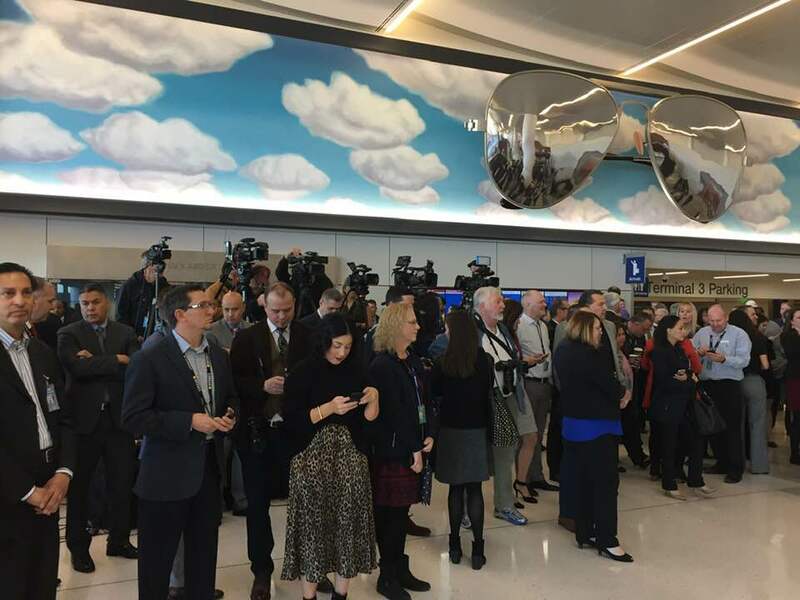 The newly-revamped terminal, which was recently re-named after John McCain, opened January 7th, 2019. Cindy McCain, wife of the late Arizona senator, was in attendance at the press conference and had this to say about Lipski’s design, "The aviators up there are the best. I can say, John would've loved that." The Aviators, consists of three parts: an enormous pair of mirrored aviator sunglasses measuring 25’ x 9’ and weighing in at 2,000 lbs, which hover in front of a 90’ wide oil-on-canvas painting of a sky with clouds, which is framed in a traditional wooden frame, which houses lighting. It was a pleasure as always working with Donald Lipski and our wonderful team of collaborators to bring this work to life. Congratulations Donald! Click here to learn more about this project. Congratulations to Donald Lipski on his feature in the most recent episode of the PBS program Curate 757. Check out the full episode below to get a behind the scenes look at the installation of "The Canoes" on the Lesner Bridge in Virginia Beach, installed in July 2018. Along with our talented team we were able to bring Donald's incredible vision to life. If you're curious about how these works come to be, this is a great overview of all the behind the scenes work that goes into the making of a work of public art. Click here for more information on this installation. Thank you to Nancy Princenthal of the New York Times for including Donald Lipski’s “Spot” in their look at outdoor artwork around New York City. Read the excerpt below. 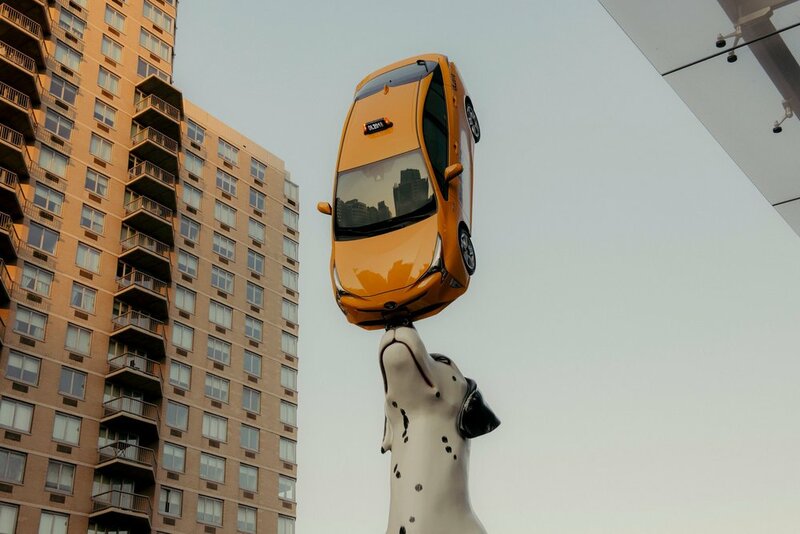 “‘Spot’ invokes a couple of generations of animated films starring anthropomorphic cars, as well as even more familiar children’s movies featuring dogs, specifically “101 Dalmatians.” Jeff Koons’s giant floral puppy is somewhere in the mix, too. Mr. Lipski, a veteran public artist with an acute sense of materials, purpose and place, is canny about all these references. But this colossal canine (made with the assistance of the realist sculptor Chris Collins) is uniquely irresistible. Its eyes bright, stance firm, tail curled happily and ears trustingly down, it seems ready to hold this impossible balancing act forever. 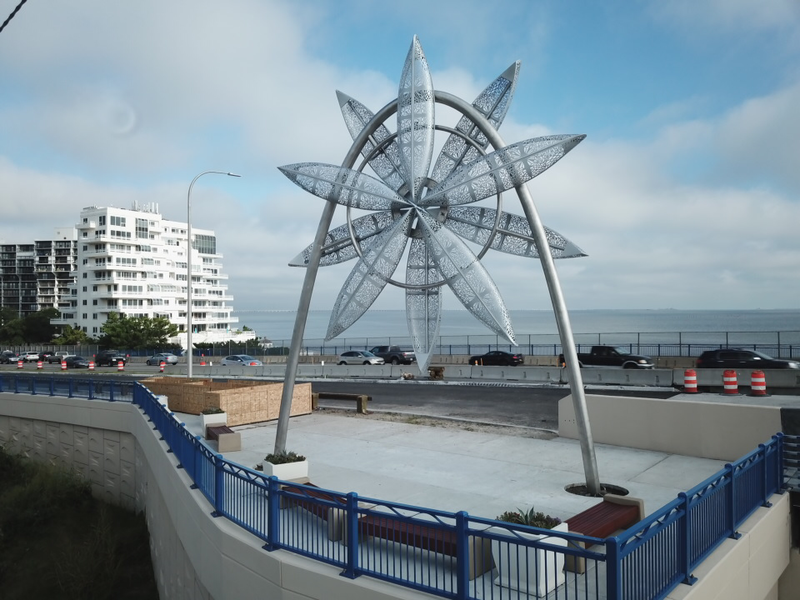 Donald Lipski's newest work of Public Art was installed last month in Virginia Beach. 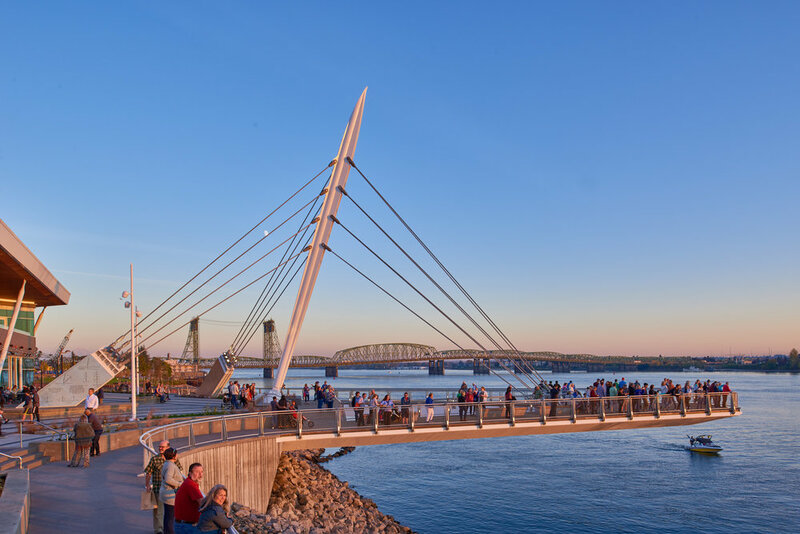 The Canoes is located at the pedestrian overlook on the new Lesner Bridge in Virginia Beach. It is a freestanding sculpture consisting of a stainless steel catenary arch supporting 10 canoes arranged in a star pattern, with a delicate filigree of cut out patterns. Lipski came up with the canoe design after learning that Adam Keeling, who owned a plantation nearby in the 1600s, and a group of others, dug a trench wide enough for a canoe to cross a sandbar between the Lynnhaven River and the Chesapeake Bay. A storm with high tides widened the ditch that became the Lynnhaven Inlet. Click here to read the full article The Virginia-Pilot published about The Canoes. Click here to view more images of this project. Installation is currently underway in NYC for Donald Lipski's most recent work of public art. 'SPOT!' now lives at the NYU Langone's new Hassenfeld Children's Hospital. 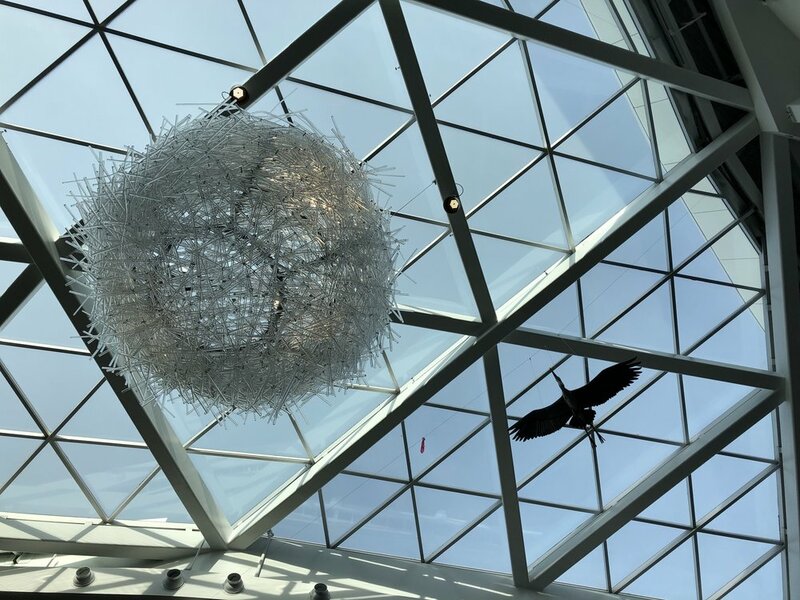 Donald Lipski has designed a sculpture sure to capture the hearts and imaginations of the patients and families who enter this new state of the art facility. Lipski wanted to make something so astounding it would distract even those arriving for the most serious procedures, and so lovable that young patients coming back again and again with chronic conditions would see SPOT! as an old friend. "I like to think that the parents, the doctors, the nurses, the staff and the neighbors, will all be smitten by this playful, heroic young dog doing the impossible. Art has actual healing power," says Lipski when describing the 2 1/2 story tall Dalmatian balancing a taxi cab on it's nose. Click here to read more about this project. FAST Corp, Nick Geurts and Ryan Elmendorf of Yetiweurks Art + Engineering, Christopher Collins, Jamie Powell and his team at Maaco, Dynamite Graphic, a team of riggers and installers from Crozier Fine Arts, led by Susie Parker, Katherine Meeham the Manager of NYU’s Public Art Program and Collection and many more.